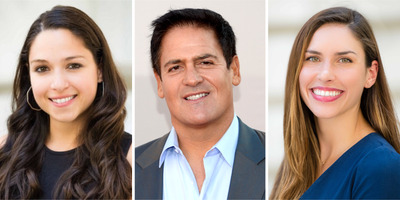 Jason Kempin/Getty; Paladin; Shayanne Gal/Business InsiderKristen Sonday, Mark Cuban, and Felicity Conrad. This December, Cuban and the cofounders of the legal workflow platform provider Paladin, which Cuban has invested in, will appear together at IGNITION. Paladin is a New York-based software-as-a-service (SaaS) business designed to empower the pro-bono ecosystem. Felicity Conrad and Kristen Sonday are cofounders. Cuban also appeared at Business Insider’s flagship 2014 IGNITION conference, where he talked about his sleep schedule and slammed other billionaires who complain about being rich. Cuban, Conrad, and Sonday are joining an all-star roster of business leaders and entrepreneurs at IGNITION 2018. To keep up with IGNITION news, join our mailing list and you’ll be the first to get updates on our speakers and agenda.